77 x 96 x 15 in. Melt, is an environmentally sensitive sculpture that involves six selected books physically carved according to their theme. 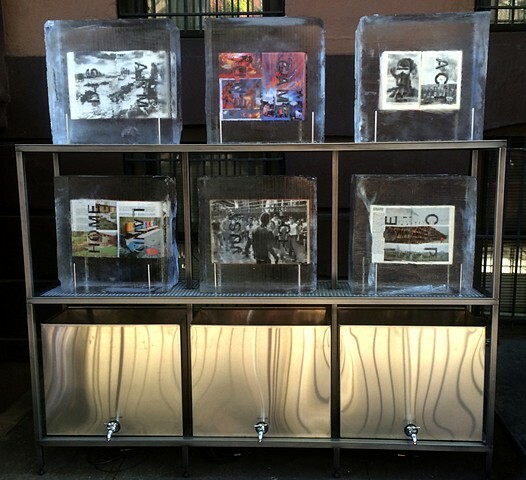 Once frozen, the ice functions to animate messages for social and political conditions, cultures of power or violence both physical and psychological, and those structures existing to support the inverse of the latter. Because Melt is subject to the weather, the anachronistic technology of the book is leveraged into the environment directly.